DOMINION Electronics has been providing specialist engineering services and product development expertise to Australian and overseas Original Equipment Manufacturers (OEMs) for over twelve years. From the 1st July 2005, the Engineering Services Division of Dominion Electronics began trading as OEM Technology Solutions. This new company specialises in the supply of engineering services and custom product developments for OEMs. “It is a great opportunity to focus our attentions on our existing customer base and to actively search for, and help, OEMs who are looking for new products and services to give them a competitive edge." 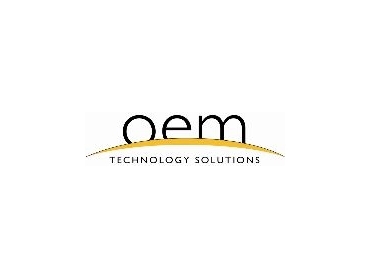 OEM Technology Solutions also specialises in the design, development and supply of control and monitoring systems for Dominion Electronics’ industrial customer base. These systems include process control, SCADA, factory automation and building automation systems. Dominion Electronics will continue to operate as a distributor of embedded systems products including supporting customers with industry proven products from Rabbit Semiconductors range of core modules and single board computers, Kontron's complete range of embedded products, EasyView touch screens from Weintek labs, Matrix Orbital's serial and USB displays/keypads and the most recent addition to the product range - InduSoft's e-automation software.